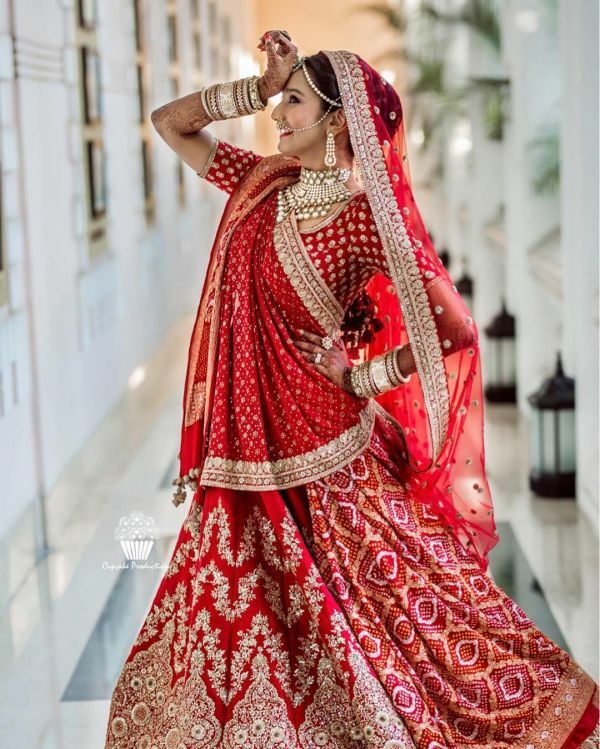 Just 25 Photos Of Bridal Lehengas That Are Way Too Gorgeous! We can keep scrolling through real bride photos without ever getting bored. Each one of those is just so stunning, so unique! 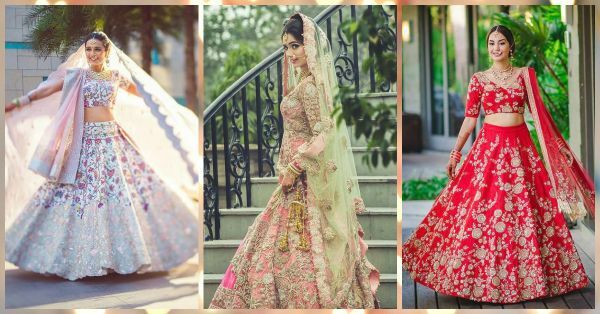 And let’s not forget the gorgeous bridal lehengas. From gold to red, pink, pastels and even royal blue, our brides have been going all out and it is hard to pick a favourite. 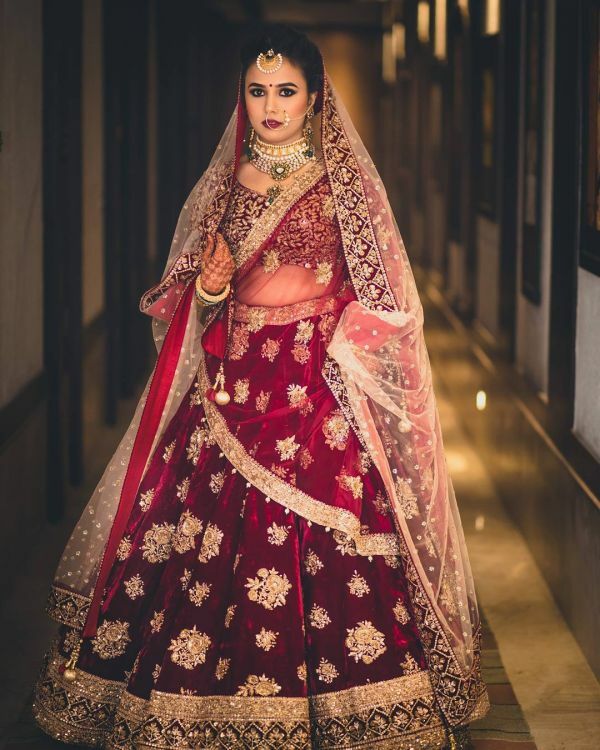 So, here they are - 25 photos of brides who wore the most gorgeous wedding lehengas. This will make your jaw drop! 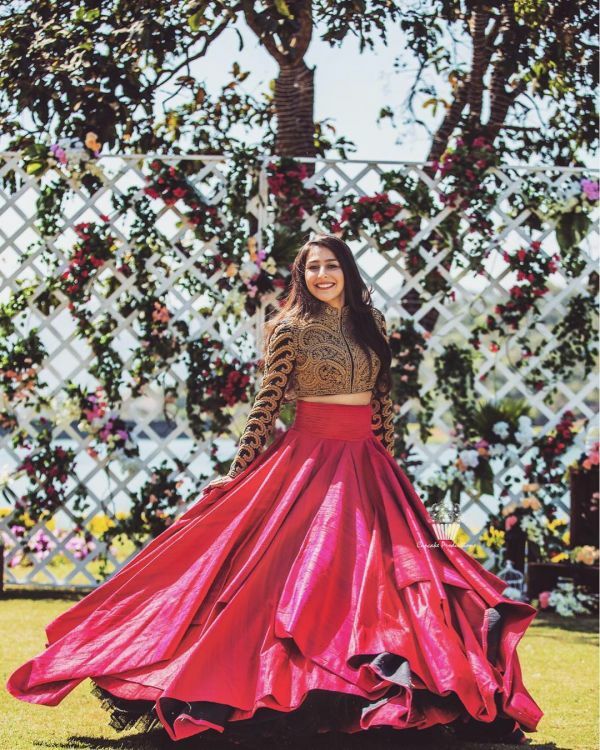 Don’t miss the pom-pom detailing and the little birdies on her lehenga! 2. 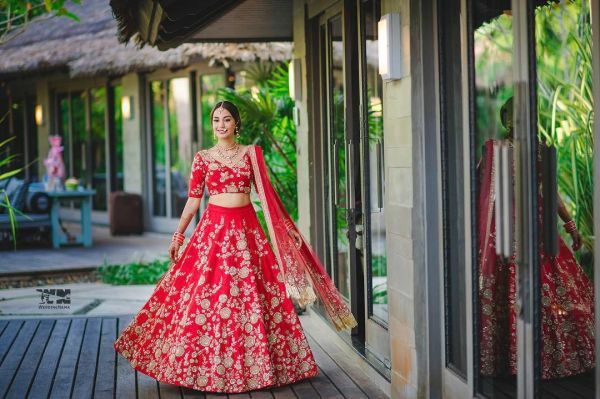 The bride who wore a fabulous red lehenga! So royal! We love her V-neck blouse and that beautiful tomato red colour. So perfect. 3. 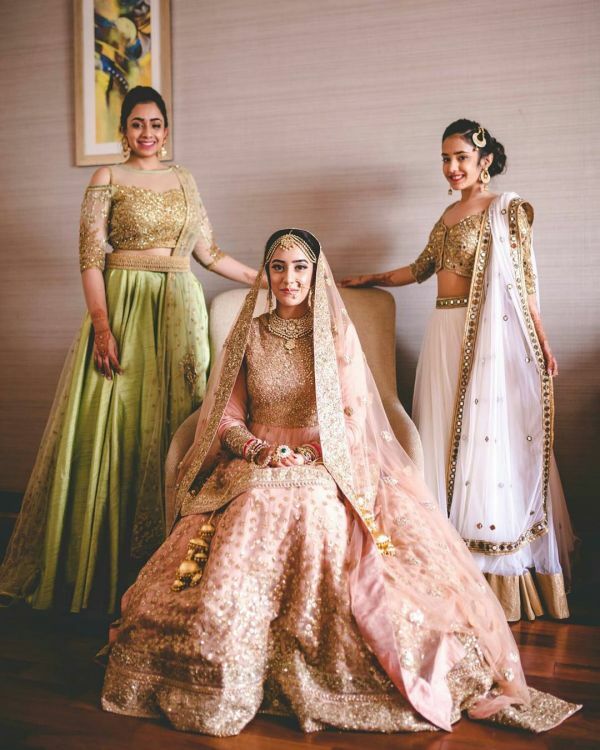 The Sabyasachi bride who looked stunning in gold! A heavily sequined gold lehenga, this is just the most gorgeous ever. The beige double dupatta and her striking makeup completes the look just perfectly. The belt, the sequins and that dreamy colour… Love it! 6. 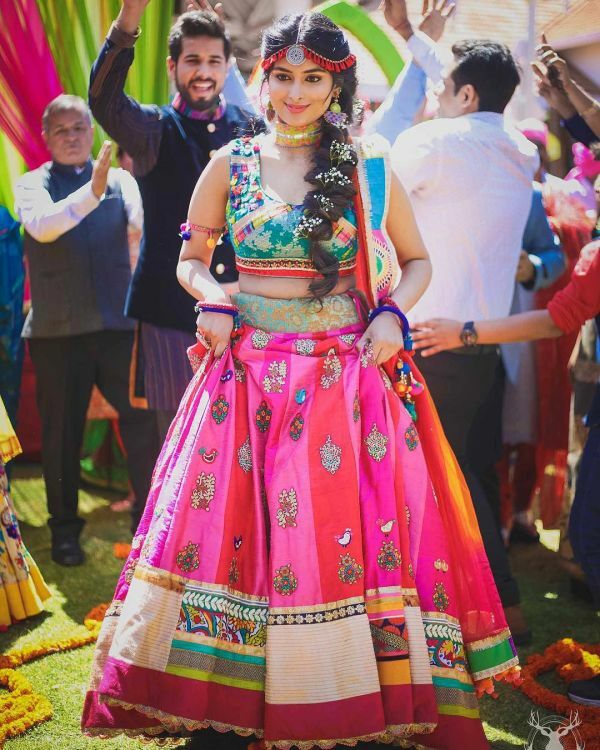 The bride who wore colours and prints #LikeABoss! 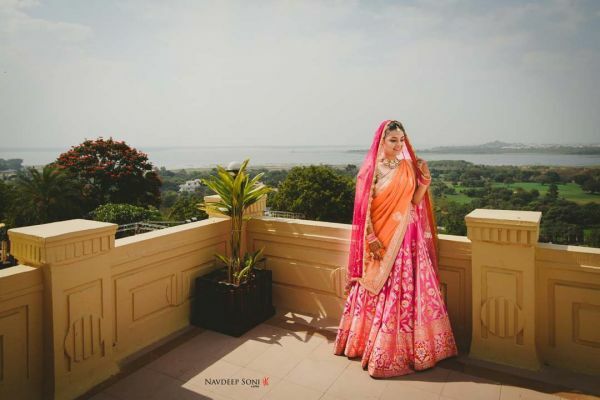 Her Archana Kochhar lehenga with Radha-Krishna print is to die for! A Shivan and Narresh lehenga with skein work, this is just SO HOT! 8. 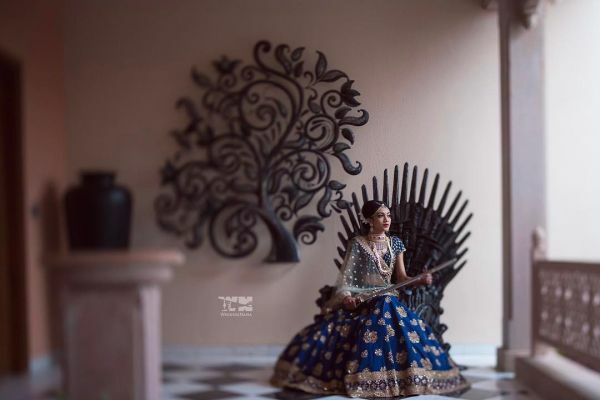 The blogger bride who made heads turn at her wedding! 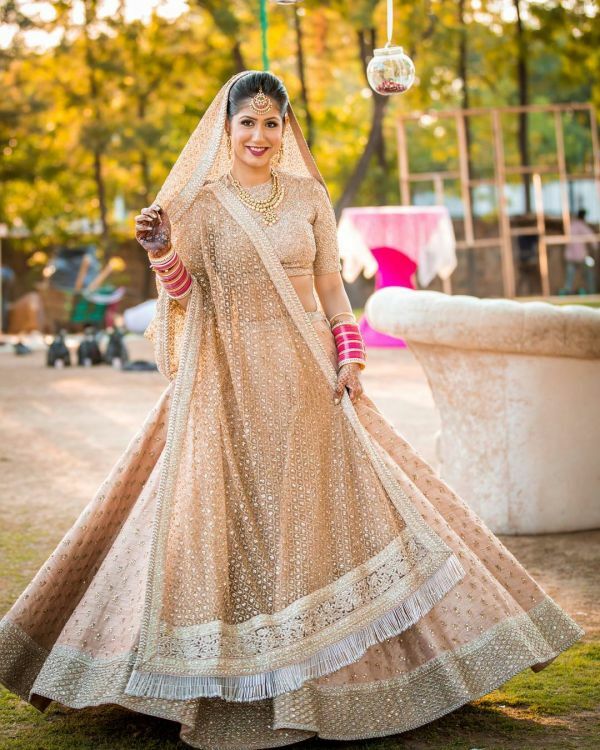 Give it up for POPxo SuperBlogger, Masoom Minawala’s fantabulous Anamika Khanna lehenga. 9. The bride who went in for an all red look and totally nailed it! Probably the most beautiful red bridal look we’ve spotted in a while. 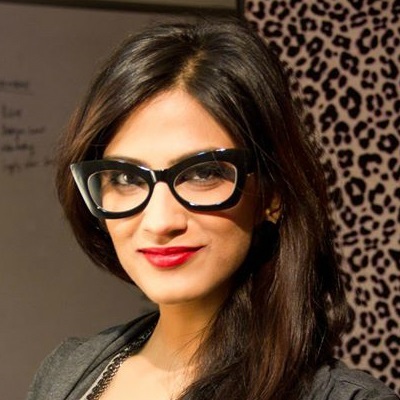 That’s Meher Sra Rohatgi, co-founder Atelier Mon for you! So stunning! 11. 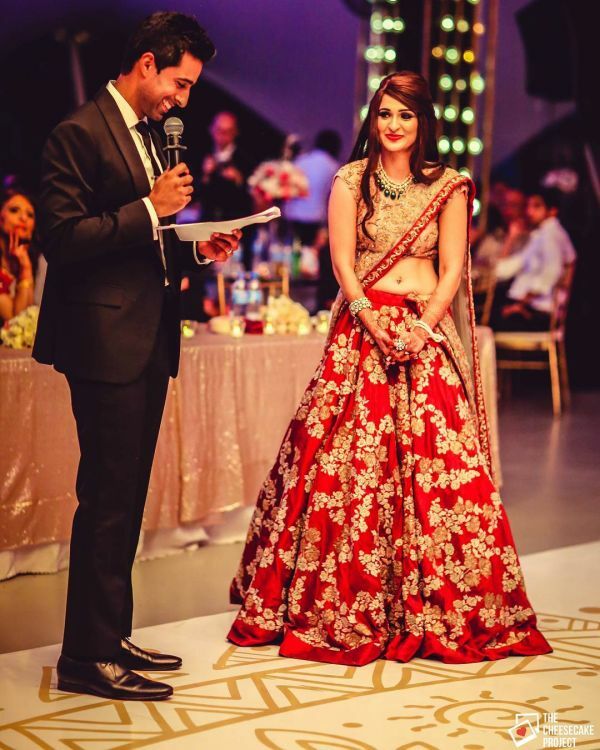 The bride who is an absolute diva in her Shantanu & Nikhil lehenga! 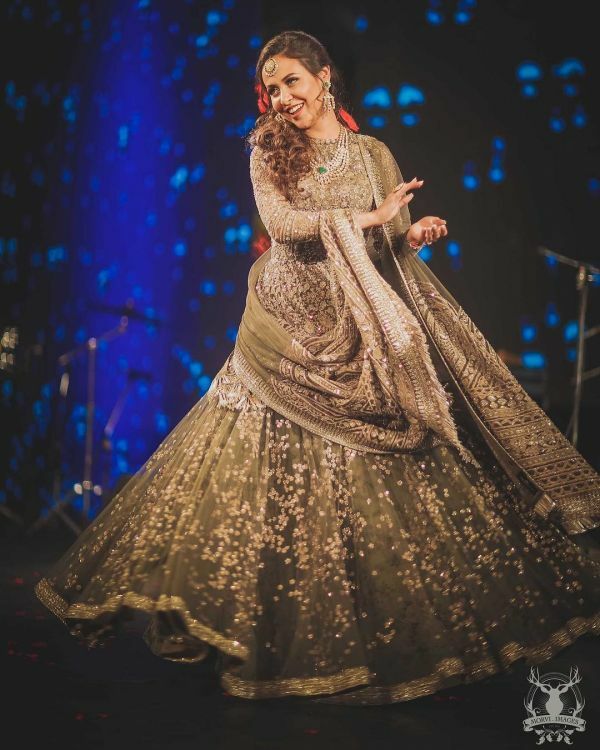 Look at her all happy and twirling in that mesmerizing designer creation! 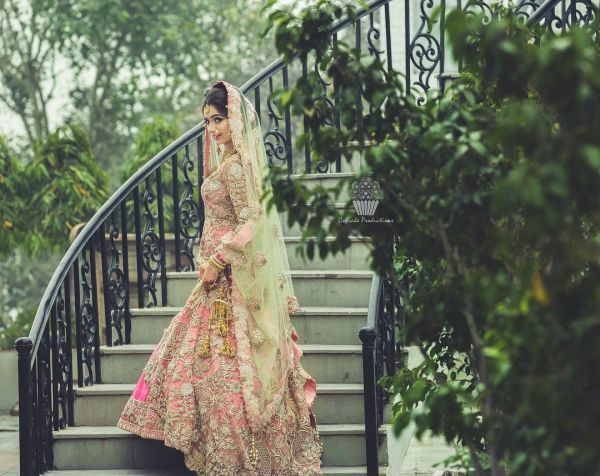 A floral lehenga with a pretty mint dupatta, this is so perfect for the mehendi. It’s the bridal look you need to opt for this season! What say?! 14. 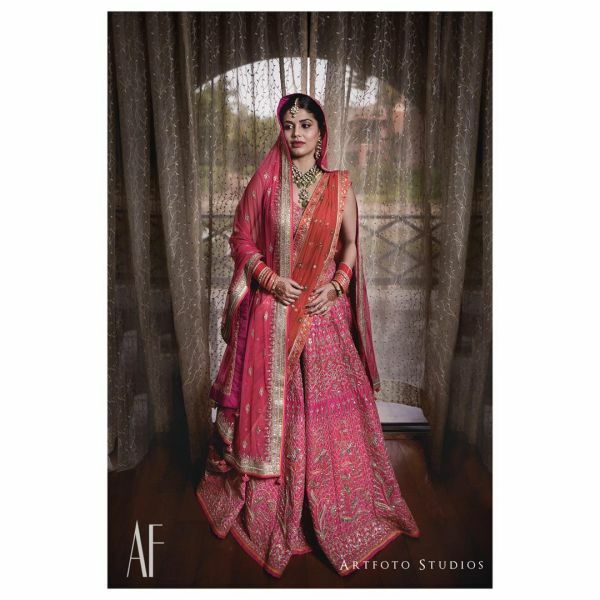 The Anita Dongre bride who was a vision in pink! Always a fan of Anita Dongre. Such a gorgeous creation! We can’t take our eyes off this bride, can you?! And what a pretty colour combination. 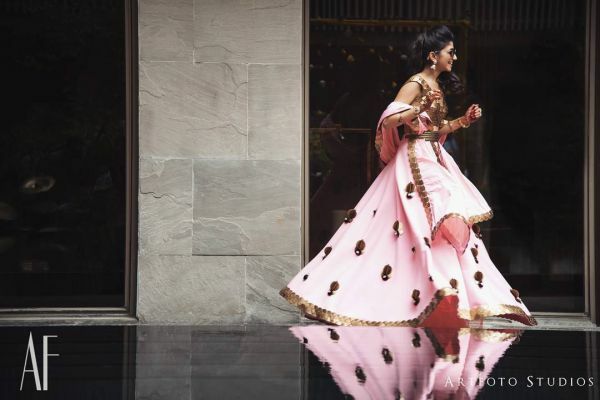 Her blush pink lehenga and peplum top is just the prettiest ever! 17. The bride who showed us just how to dress for a day wedding! 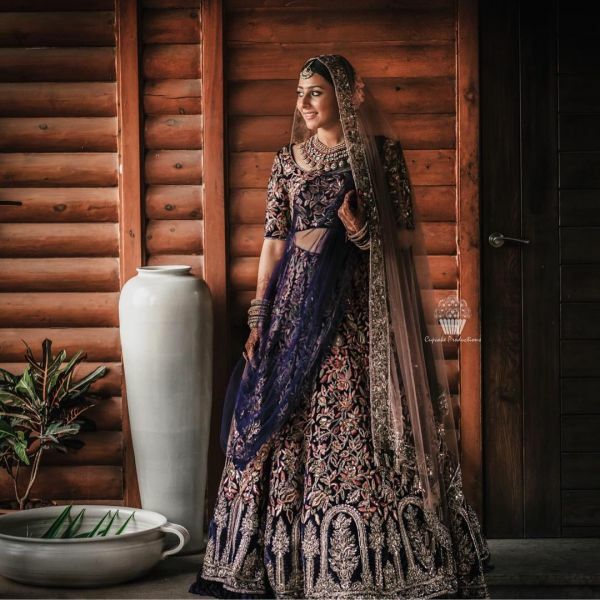 Just the prettiest ever Anita Dongre creation. Makes us want to be a summer bride too! 18. 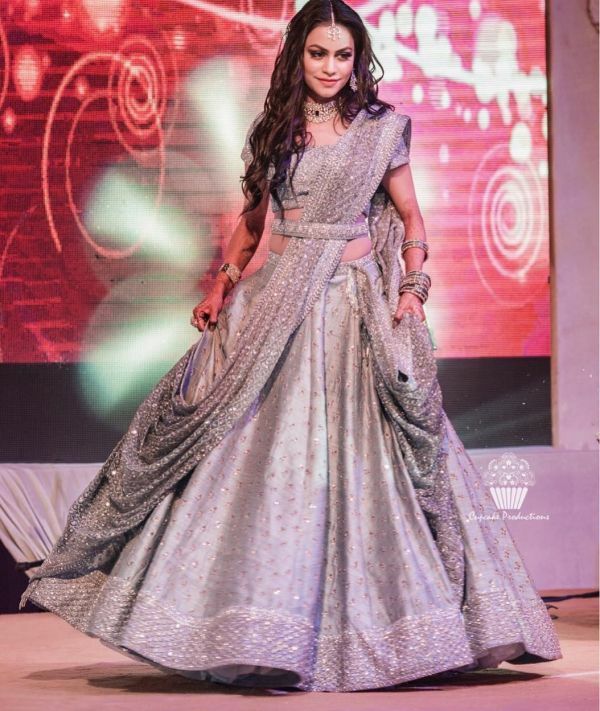 The bride who redefined elegance and HOW! 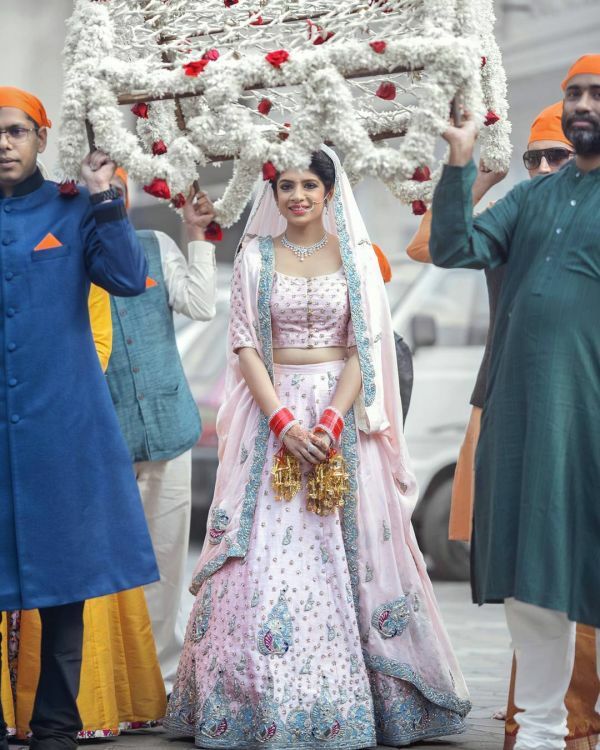 God, we can’t stop looking at the Shyamal & Bhumika bride. Just So Gorgeous! Love how she’s styled it with an emerald green necklace. 20. 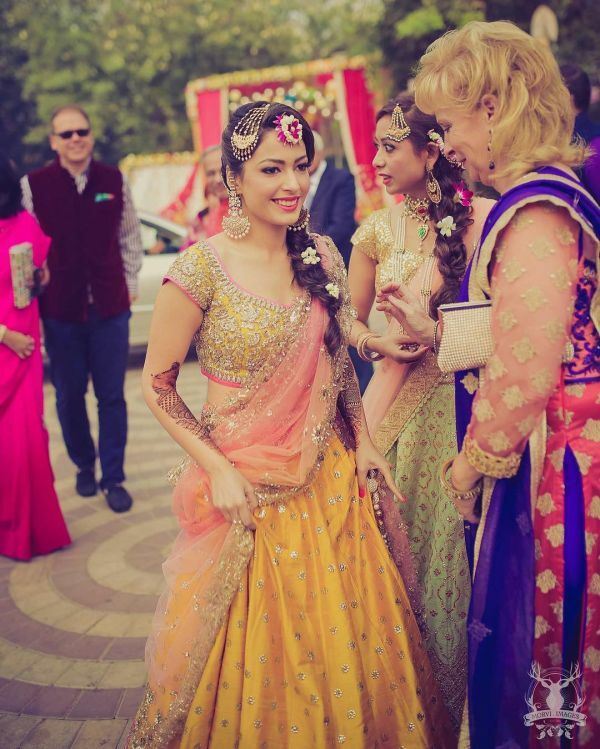 The bride who looked vibrant in orange and PINK! Such a pretty combination for a day shaadi. It’s giving us all the festive feels. Look at her looking all fab and fierce on that iron throne. 22. 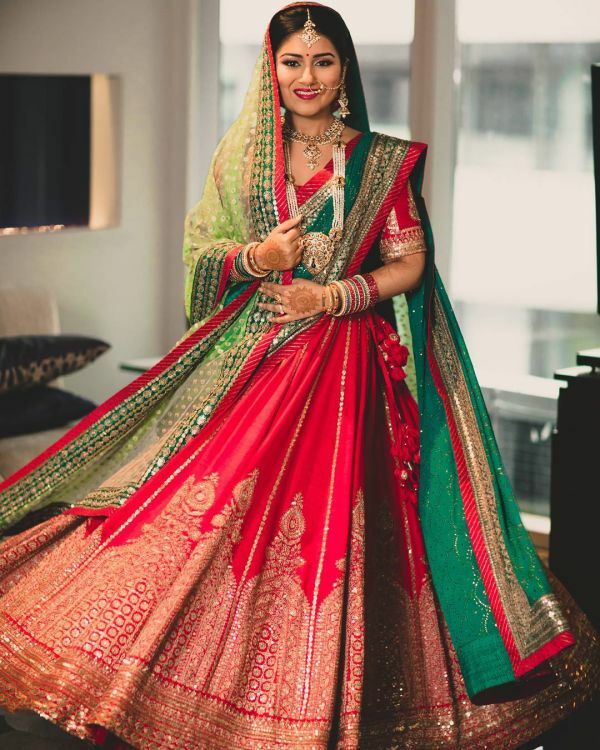 The Sabyasachi bride who made traditional look so stunning! Red and green has never looked this good. 23. The bride who made pastels look just perfect! Can’t take our eyes off this beautiful pastel pink and green creation. Just WOW! 24. 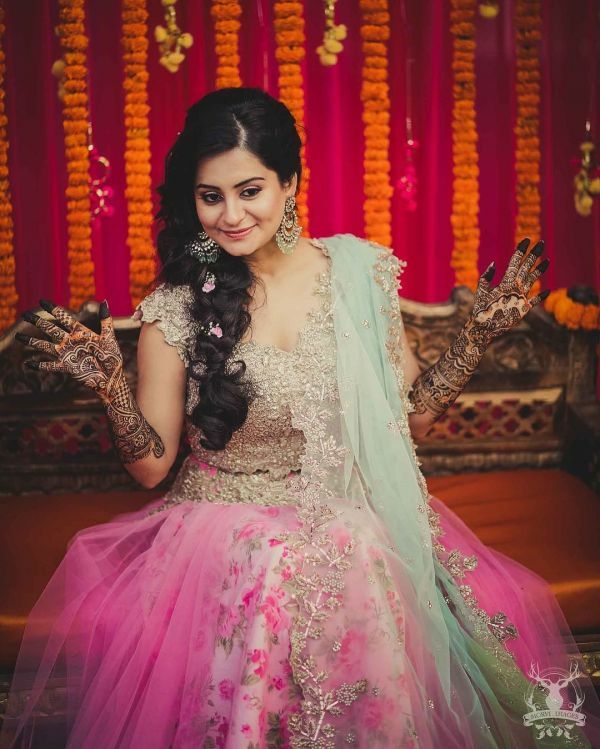 The bride in pastels who danced to ‘Cheap Thrills’! Yup, that’s her! Such a pretty Sabyasachi lehenga for a beach wedding. 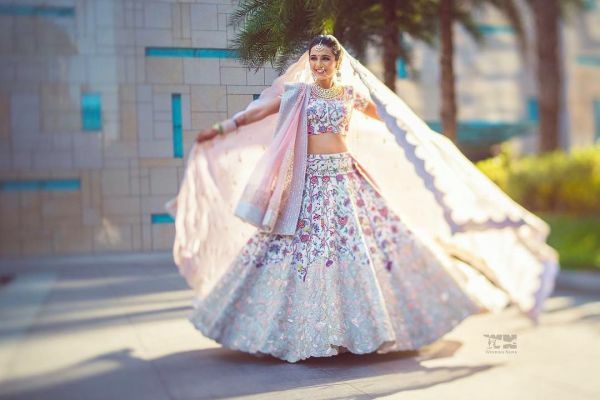 Something so charming about this powder pink lehenga by Christina W T.
Aren’t these some amazing wedding fashion goals? !